3PM SATURDAY, NOVEMBER 16 Turning Pages | Teen Book Club This month, teens meet to discuss The Princess Bride By William Goldman. Age of the geek, baby! The Park Road Books Geek Book Club will be reading The Princess Bride By William Goldman for their August meeting. Stop by Park Road Books at 7pm on August 13th to discuss The Princess Bride By William Goldman. This modern fantasy classic is a simple, exceptional story about quests - for riches, revenge, power, and, of course, true love - that's thrilling and timeless. Book club participants will receive 20% off the $8.95 price. The Park Road Books Geek Book Club meets at the store on the second Tuesday of each month at 7:00 pm. Join us on August 13. The YA Book Group meets at 8 p.m. to discuss The Princess Bride By William Goldman. William Goldman, The Princess Bride. William Goldman became famous in the 1950s as a novelist, before turning to writing for film and producing nonfiction and memoirs. He has won two Academy Awards for his screenplays, first for Butch Cassidy and the Sundance Kid (1969) and again for All the President's Men (1976). William Goldman is currently considered a "single author." If one or more works are by a distinct, homonymous authors, go ahead and split the author. 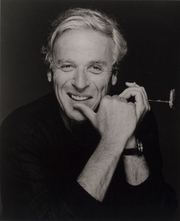 William Goldman is composed of 11 names. You can examine and separate out names.